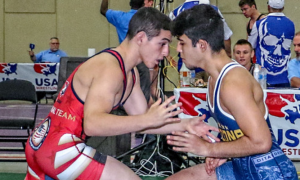 The 2nd OG Greco Qualifier is upon us, taking place Friday (or late tomorrow night for US residents) at the Bagcilar Sports Complex in Istanbul, Turkey. 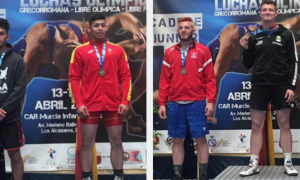 The remaining three wrestlers – Jesse Thielke (NYAC, 59 kg), RaVaughn Perkins (NYAC, 66 kg), and Joe Rau (Minnesota Storm, 98 kg) first traveled to Mongolia on the heels of their US Olympic Trials victories. It all happened so fast: The Trials for the trio ended on April 9th and within a few days they were on a flight to Mongolia. But hey, they knew the deal going in. 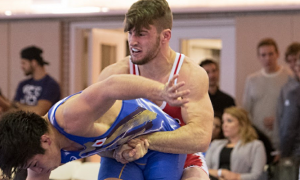 Now they are in Turkey getting set to qualify their weights in what is the last chance for the American squad, for there are no more chances following the 2nd OG Greco Qualifier. And unlike the initial attempt in Mongolia, where a true third resulted in qualification, the 2nd OG Qualifier only takes the top two athletes in each weight. The objective is clear for Thielke, Perkins, and Rau – make it to the finals. 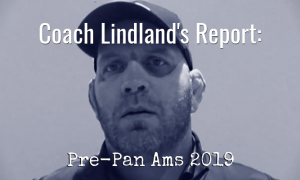 In our latest “Coach Lindland’s Report”, US National Team Head Coach Matt Lindland likened the current circumstances facing his guys to the qualifying process he endured in 2000 leading up to the Sydney games. It was an interesting if not inspirational tale you should definitely check out. And like the Pan Ams in 2000, when Lindland and Dennis Hall had to finish the job during what was their last chance, so too does the current crop of athletes. There won’t be a lot of “gimmes” at this tournament. Mongolia saw a rash of upsets which left more than a few accomplished international contenders still in need of securing Rio spots. But that shouldn’t matter. At one time or another, each US competitor has shown the ability to perform against the best in the world. The 2nd OG Greco Qualifier merely represents one more opportunity to prove it. Here’s a look at some of the expected participants and how they measure up coming out of Mongolia. Thielke seemed to be on cruise control versus Sharma from India in the first round in Mongolia but wound up getting hit with a double-underhook throw for four points and then another one shortly thereafter. Up 5-0, he was all of the sudden down 6-5 and couldn’t make up the difference in time. It was an uncharacteristic performance for the normally-electric Thielke and one he can’t repeat in Istanbul. If he is on his game, however, Thielke possesses the style and pace that would pose a problem for each of the big names expected to show up. Hamid Soryan (IRI) Rumors of Soryan’s demise have not exactly been exaggerated but at the same time, there were some bright moments for the Iranian star in Mongolia. But the fact is, he has not shown the same form that took him to six World titles and an Olympic gold medal as of late. He’s only 30, but there just might be a lot of miles on the car. Also, 59 kg is not 55 kg – his lankiness and reach don’t play the same way at this weight. There has been talk of injuries recently, as well. Either way, it’s probably best to expect the Soryan of old rather than an old Soryan. Ivo Angelov (BUL, world no. 10) is also a former World Champ and the one who took out Soryan in Mongolia, waiting him out before gassing him out in the prelims. But Angelov didn’t really light it up at the 1st OG Qualifier after that. Following his bizarre defeat of Soryan, he was then stopped by Seunghak Kim (KOR) 9-0 and then eventually knocked out altogether by eventual true third winner Elmurat Tasmuradov (UZB). You’d think it would end there, but Roman Amoyan (ARM, world no. 15) represents another world-caliber challenge in this bracket. The 2008 Olympic bronze medalist had the pleasure of locking horns with Soryan in the qualification round, which means he didn’t see any other action that day. Amoyan is 32, so he might be on the fence. 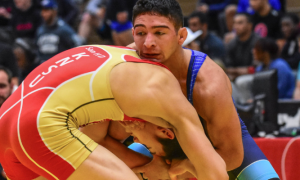 While Amoyan is still a threat, Soryan stayed in control throughout most of that contest, coming away with a 7-4 victory. It’s not that this entire bracket is full of former World placewinners, it’s just that there are enough of them to pay attention to. Thielke matches up well with any of these guys and provided he’s amped up, could be making a big splash the rest of the world takes notice of. If there was ever any doubt as to whether or not Perkins was ready for the pressure of the qualifying process, he answered the bell in a big way in Mongolia. He didn’t have a great showing in Frisco at the Pan Am Qualifier in March, but definitely hit his stride once the calendar flipped to April. Perkins went 4-2 at the 1st OG but more than that, was in-control, authoritative, and aggressive. This is a Greco wrestler who has an awful lot of gifts and it seems he has figured out how to use them. In fact, Perkins could be considered a favorite in this class. For Mongolia, Kazakhstan sent firecracker Mirambek Ainangulov, whom Perkins threw an 8-0 beating on. This time around they might be going with Magomed Chuhalov, a significantly taller athlete who has a growing resume of international experience to bank on, including a solid bronze medal performance at March’s Asian Qualifier. Ever since capturing bronze last year at the Worlds, Zackarias Tallroth (SWE world no. 6 at 71 kg) has become somewhat of an internet celebrity. Tallroth’s gritty, aggressive style coupled with his Viking-blood appearance has garnered him a sizable following on social media, but that kind of thing doesn’t win medals. His world bronze was at the non-Olympic 71 kg and at 66, he keeps his height and length, but does he give up some of his juice? Like Perkins, Tallroth fell in the quarters in Ulaanbaatar, and also like Perkins, lost to Lithuania’s Edgaras Venckaitis later on. Artak Margaryan (FRA, world no. 20) was ahead 5-0 on Venckaitis before completely and dramatically running out of steam. It was the strangest thing. It’s as if someone had sucked all of the oxyen out of the atmosphere like in the movie Spaceballs. But that part notwithstanding, Margaryan is a strong 66’er who stands as a legitimate but surmountable obstacle for the US at this event. Perkins should be confident. He clearly illustrated in Mongolia that he was a force to be reckoned with and if his ball got rolling earlier there it is reasonable to conclude that he might not have had to go to Turkey. It is what it is. Nevertheless, Perkins offers serious speed and a newfound level of decisiveness in his game that when put together, equals a potent combination others at this weight just don’t seem to have. It is almost easy to forget that just two years ago, Rau was a World Team member at 80 kg. 98 fits him better, especially because Rau has taken some quickness with him north on the scale. 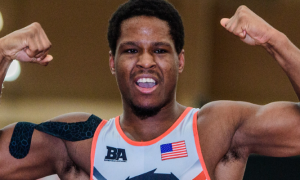 He has been fun to watch at the higher weight and showed the country he was a serious world-level threat with the way he handled Caylor Williams, beating the WCAP star four out of five times, counting the Trials matches. In Mongolia, the Illinois native lost to Carl Fredrik Schoen (SWE) 4-1. Schoen would go on to qualify, but he seemed like a tailor-made opponent for Rau, especially since he had already beaten Schoen previously. Cenk Ildem (TUR, world no. 7) looks like a beast and on occasion, wrestles like one. He was listed to wrestle in Mongolia but wound up sitting out, so it’s sort of an assumption he’ll be showing his face at the 2nd OG Greco Qualifier. Ildem is tough and a scorer when he’s feeling into it and since this is taking place in his backyard, he’ll probably be into it. An intriguing match-up for Rau might be Orkhan Nuriev (AZE, world no. 15), a durable and opportunistic wrestler who also didn’t have the tournament of his life a couple of weeks ago. Nuriev did win one match in Ulaanbaatar, but was eliminated in the next round by Poland’s Radoslaw Grzybicki. As we pointed out, Marthin Hamlet Nielsen (NOR), world no. 14) was the wildcard entering the 1st OG and he made good on that prediction, nearly cinching a qualifying bid. Back in competitive form in 2016, Nielsen looked pretty sharp in Mongolia but plodded a bit. Even still, Norway has to be pleased with how he performed. The difference between Rau and many other 98’s is that he doesn’t have to wait for par terre to score, whereas so many at the heavier weights do. 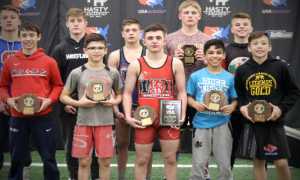 In this week’s “Coach Report”, US Coach Matt Lindland made it a point to say, “If Joe gets to his positions, he can score on any of these guys.” And just by going with the “eye test”, that is apparent. Hopefully for Rau, he realizes it, too.